Have you considered using surveys to guide your content marketing efforts? Surveys are a very easy and effective way to understand what content and ideas your fans and followers would like to see from your business. Here's how you can quickly create and share a survey to guide your content efforts. The questions should be straightforward. What type of content helps you? What type of content do you prefer? How often do you download content? What is your role in the organization? The questions should be multiple choice and should have no more than 7 to 10 questions so that the survey can be answered in 2 minutes or less. Survey Monkey is a great place to set up surveys quickly. They have templates you can build off of or you can create your own survey. There are free and pro account options. Wufoo is another option to build forms online. 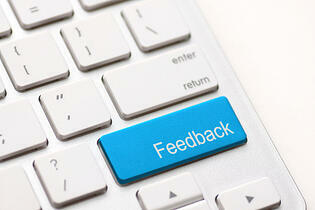 Share your survey across social media for exposure. Remember, your results won't be scientific but they will offer you insights into building useful and shareable content. And wallah! That's it. Wait for the survey responses to roll in and see what they say. Most importantly, if respondents say they want to see more checklists or how-to's make sure you produce them. In other words, be sure to heed to results of the survey.